If you are trying to decide if I’m the right photographer for your family, then hopefully these 6 things about me and my business might help you decide! 1. I value my customers….I believe in good old fashioned customer service. My business is not a conveyor belt, you’ll be given the attention you deserve. I love working with my families and that is why so many of them come back to me year after year. 2. I’m a mum… of 2 myself, so I have the patience that comes with that! It means I understand children and can get the best out of them. I also know how it feels as a parent when your toddler decides to throw the biggest tantrum they have ever had right in the middle of the shoot! 3. I make it fun….I know for some people the prospect of a family photo shoot is a daunting one, so I ensure that my shoots are as relaxed and fun as possible. The kids will be talking about it for the rest of the day and even the Dad’s will admit it was quite enjoyable! 3. I make it easy….I know that you want to get on with your day so I work quickly and ensure that I have captured a great set of images within around 60-90 minutes. You don’t have to attend a viewing afterwards; instead you will have an online gallery to view at your leisure and share with family & friends. And I’m always at the end of the phone/email to help when you need me. And my pricing is transparent and straightforward so it doesn’t take you hours to work out how much you will be spending! 5. My style….one of the main reasons to choose a photographer is their style and whether it’s right for you. My style has been described as natural, beautiful, expressive and evocative. I like to capture your family just being you, in a beautiful setting. I also know how to get the best out of children and so I get them to show me (and my camera) their real personalities. 6. 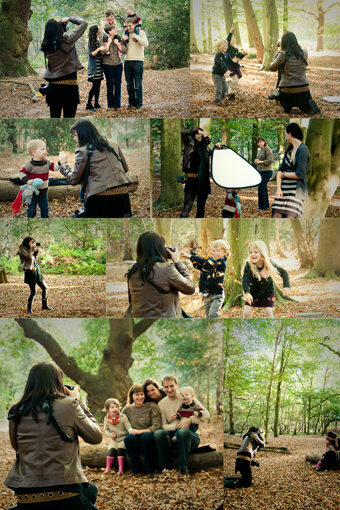 I’m experienced…I’ve been in business for nearly 10 years and have photographed over 400 different families. I specialise in family photography because I love it. I’m not a wedding photographer who photographs a few families in the quieter months. This experience is very important. It means I’m totally confident in getting the most out of your children and knowing I can capture those moments beautifully when they happen. It means I have lots of happy customers who come back to me time and time again. And it means I have tried and tested many different product suppliers until I’ve found the perfect ones. I hope I get to meet you and your family very soon! Please contact me to get your session booked in the diary.